Fun. Each season has it's own funs but sometimes one more than others. For sure summer is funniest season of all. Especially for people who live in cold countries like I do. No matter how much effort I put into it I move less during cold period of time and tend to entertain myself my calmly comparing to summer. However during winter time we have a lot of fun 'riding' our dog Surak. He's big enough to carry us around. But when it goes for funny movement you don't have to use anything external. There are tons of funny ways to move. For example inside the ball. I believe many of you saw hamsters in the ball. I always wondered how it might be like to be such hamster myself. Actually I didn't much attention but there are human versions of this hamster thingy. I am still thrilled to try them out even though it looks a bit scary to me. I made some research and actually know they put hamsters in such ball so they don't get hurt. That means you won't get hurt as well. Can you imagine that? Rolling around the bright green grass or bright blue still lake water... Sounds absolutely amazing. Or as it is winter right now - you can imagine the joy of rolling around the snow in human hamster ball? snow's under and may be (to make the picture perfect) snow's falling down. That sounds like a perfection. Sadly there are not many spots here where I can have some fun in the ball. I don't have in the local park in summer and there are no ball around here in the winter. Ski, they say, skate they say... And airtrack sounds lovely too! So fun! What if I tell you you can have your hands on such ball by yourself? You don't have to look for a place to rent such ball, don't have to wait in queue or worry if it is clean enough not to worry. What if I tell you it's inexpensive? I bet you'll come up to me and ask where to find it. 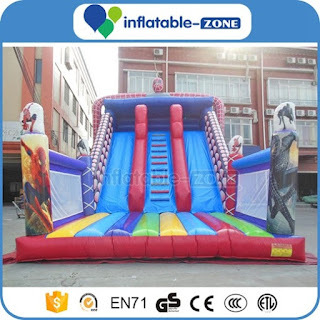 Today I want to introduce you to wonderful and ever amazing world of inflatable balls provided ob shop Inflatable-zone. They offer you water games, soccer (or football depending on how you like it better to be pronounced), zorb balls, airtracks and even tents and pools. I'm not really into the pools but I do find tents very handy. But what thrills me the most are the balls. I imagine how funny it is to run inside such ball and feel safer than you normally do. For example football is said to be one of the trauma causing sports but you can't deny its greatness. With a ball chance of trauma is minimized and brings you even more fun. Zorb balls are made for downhill rolling. It's completely safe, a bit easy and yet brings you tons of adrenaline. Summing up super exciting! Inflatable zorbing is what I want to try the most. 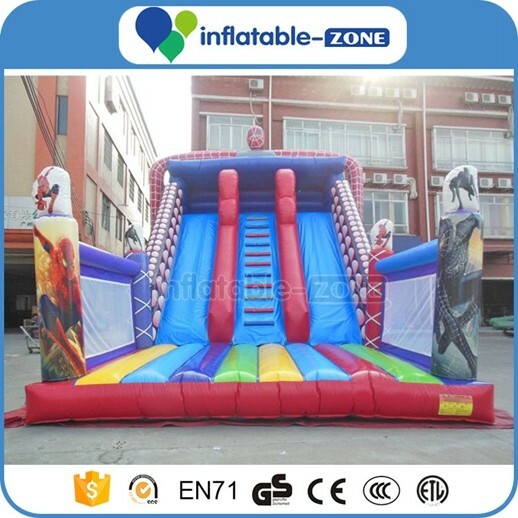 What do you think about inflatable slide jumping? Sounds like tons of fun huh? I does. I love just jumping a lot! In warmer times we have lots around the corner here in Moscow and I am always happy if they let a lightweight adult to have some fun (they sometimes do). Having one for yourself is not a dream - it is easy and affordable! So you won't have to seek for places you have access to - you simply use it! What do you think about inflatable balls? Zorb balls, human hamster balls and other? Let me know what you think in comments! have fun! P.S. 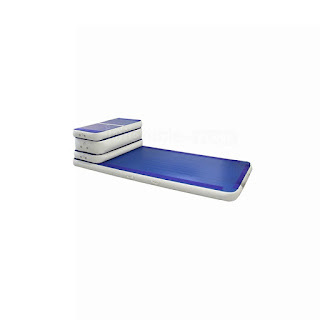 it's an airtrack, perfect for some safer acrobatics! Zorb balls looks like so much fun! I find that they are reasonably priced. Thanks for sharing.